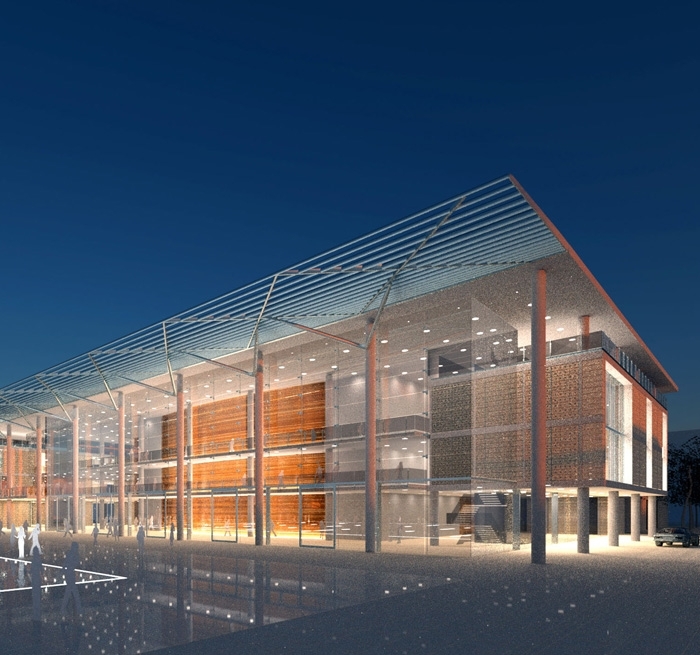 The Cyprus Cultural Centre will be a significant contribution to the cultural landscape of Nicosia, providing a new home for the city’s burgeoning performing arts community and a hub for arts education in the region. Auerbach Pollock Friedlander initially worked with the Cyprus Cultural Foundation to develop the technical brief for an architectural design competition and served as part of the technical advisory group to the competition judging committee. Subsequently, the firm provided full-scope theatre consulting services for the design of the multi-purpose Concert Theatre, the Recital Hall, and the Rehearsal Hall/Flexible Performance Space. In addition, the firm consulted on the multi-purpose classroom, meeting and studio spaces that connect to the rehearsal space, and outdoor performance options for the new Civic Square. In the 1,400-seat Concert Theatre, the program goal of creating an efficient form of changeover from theatre to symphony led to the creation of a massive unitized orchestra enclosure and riser system that will track on rails from storage to play position. 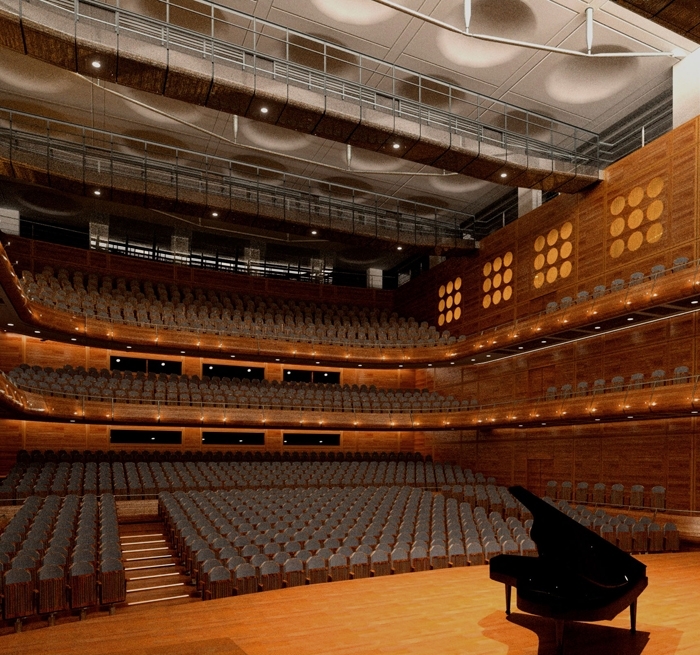 The 500-seat Recital Hall, designed for ease of use by community groups while providing a first-class environment for all performances, contains a simple system of manually pivoting panels and fixed speed motorized battens to facilitate transformation from music presentation to theatrical performances.